Art of the Title, has long been required reading for design nerds and cinema buffs, breaking down the short, metaphorical art-films that run underneath the credits of your favorite movies. 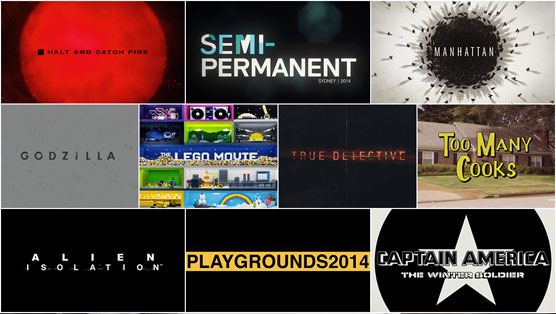 As both Art of the Title and we here at Paste have noted, it was a great year for opening sequences. Film, television, and video game titles have always been art, but 2014 appears to be be a watershed moment. Never before have information about the cast and crew looked quite so awesome. From the stark graphics for Captain America: The Winter Solider and Manhattan to the digital artistry of True Detective and Halt and Catch Fire to the wit and whimsy of Godzilla and The Lego Movie to whatever Too Many Cooks was, 2014 was a year where everything was tried, and a surprising amount of it worked. Check out the full article on Art of the Title, for their usual exhaustive breakdowns and insightful interviews on why these titles are the best of the year.